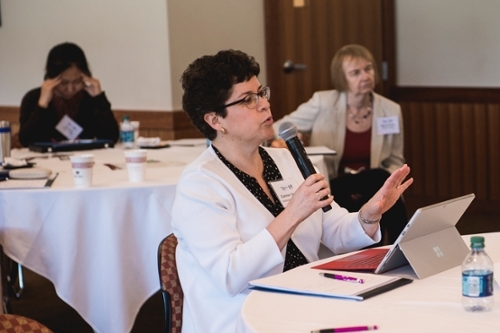 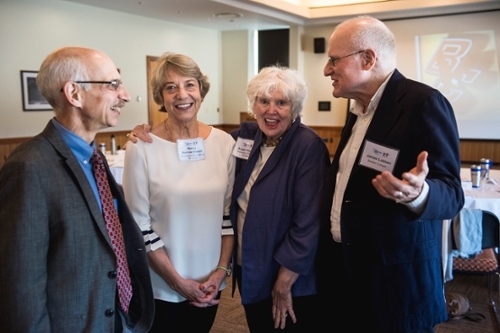 The 2017 Annual Meeting was held at Boston College on June 15, 2017. 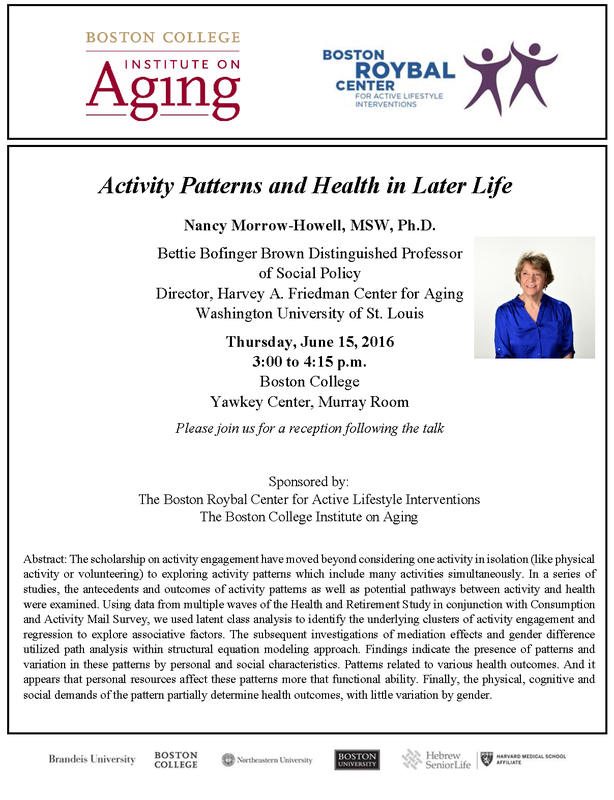 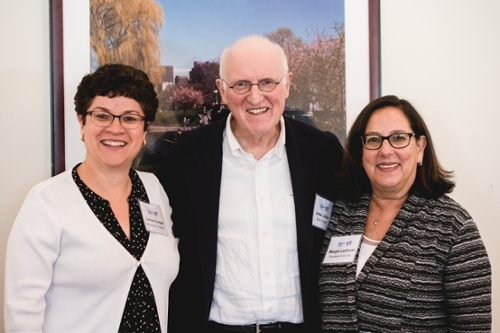 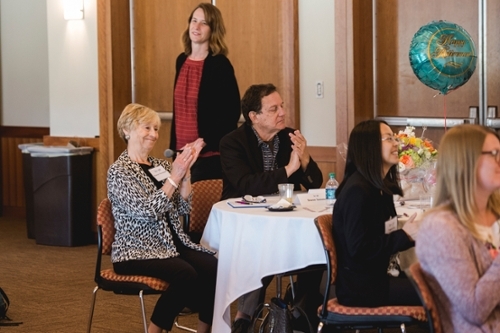 This year the event was co-sponsored by the Boston College Institute on Aging. 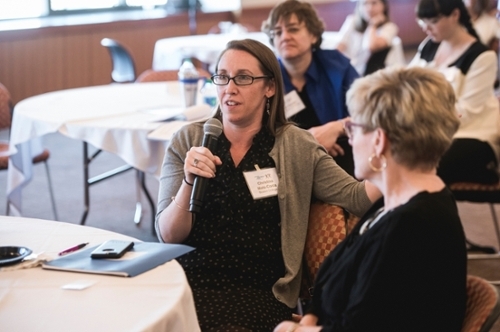 Pilot project investigators presented their work with time for feedback and discussion about ways to promote healthy aging. 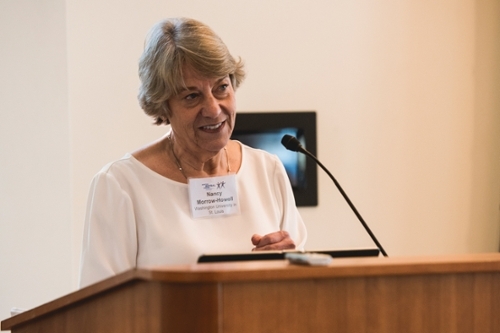 Nancy Morrow-Howell, MSW, PhD, Bettie Bofinger Brown Distinguished Professor of Social Policy and Director, Harvey A. Friedman Center for Aging, Washington University of St. Louis, gave the keynote address.